I would like to thank Teresa Caudell of Tecspot Bengals for co owning this wonderful boy with me! Rider has a great solid build with dark rosettes and lots of acreage to his pattern to pass on to his offspring. He follows me everywhere like a puppy and has a very sweet personalty! If you’d like to see Rider’s pedigree, click here. 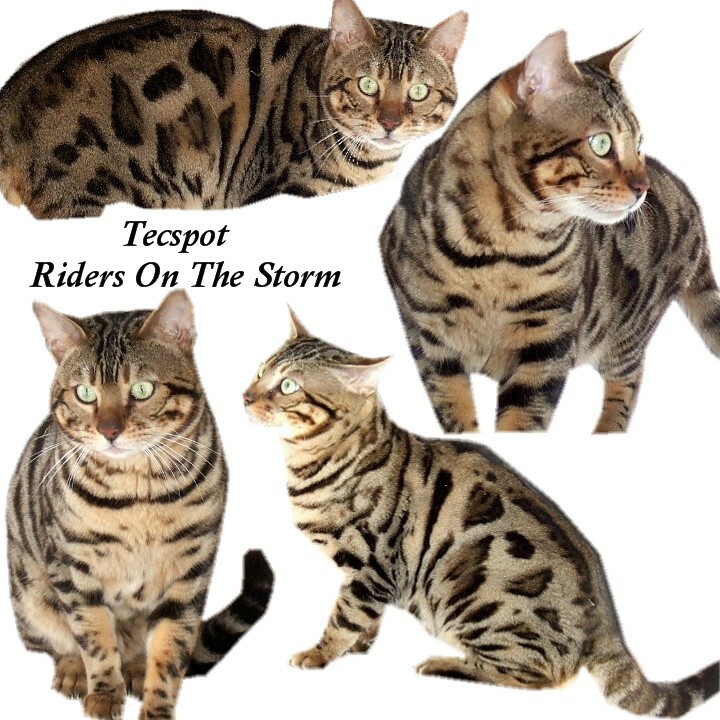 This entry was posted in Gallery, Reference Studs and tagged Bengal, Bengal kitten, brown rosetted, Brown rosetted bengal kitten, rosetted bengal cats, silver bengal, Tecspot. Bookmark the permalink.